EDITOR’S NOTE: In California, the non-profit Initiate Justice is gathering signatures for a proposed initiative for the November 2018 ballot that would allow all citizens living in the state with felony convictions—even those currently in prison or on parole—to vote. Initiate Justice has until April 25, to turn in 585,407 signatures to get “The Voting Restoration and Democracy Act of 2018” before voters in November. If passed, the measure would make California one of just three states that do not disenfranchise incarcerated or supervised individuals. California law currently disenfranchises people convicted of felonies who are serving time in state or federal prison or who are on parole. Californians with felonies on their records can, however, vote once they have completed parole. In addition, those citizens locked-up for non-serious felonies serving time in county jails because of California’s prison realignment (AB 109), are allowed to vote, a right that was clarified and affirmed by a bill Governor Jerry Brown signed in 2016. AB 2466, authored by Assemblymember Shirley Weber (D-San Diego) and Senator Holly Mitchell (D-Los Angeles), also applied to eligible AB 109ers with felonies who are under county supervision. Texas law prohibits people such as Crystal Mason from voting until they are no longer under supervision by corrections officers. Mason told the court she had no idea she was prohibited from voting. At her polling station, officials let her cast a provisional ballot. The confusion over felons’ voting rights is not limited to Mason’s situation or to Texas. Across the country, state felon voting laws vary widely. Some states bar people from voting only while they are in prison, while others deny voting rights to people who are still under the supervision of a probation or parole officer. And some prohibit convicted felons from voting for the rest of their lives, unless they receive a pardon from the governor. Only two states, Maine and Vermont, have no restrictions. Nicole Porter with the Sentencing Project, which advocates ending felony disenfranchisement laws, said people with a criminal past are often unsure of their rights. In Texas, she said, former Republican Gov. Rick Perry, now the U.S. Secretary of Energy, is partially to blame. In 2007, Perry vetoed a bill that would have required the state to notify felons in writing when they were eligible to vote and include a voter registration form. In 2016, Mason had just been released from prison after serving time for tax fraud. Her probation officer and poll workers did not tell her that she was no longer eligible to vote, she said. Mason, who is African-American, was sentenced last week by State District Judge Ruben Gonzalez, who asked her during the trial why she did not read the provisional ballot forms more carefully. Blair Bowie, a lawyer with the Campaign Legal Center, a Washington, D.C.-based group that works on election-related issues (the center was founded with a grant from The Pew Charitable Trusts, which also funds Stateline) said restrictions on felons’ voting rights likely keep away eligible voters. 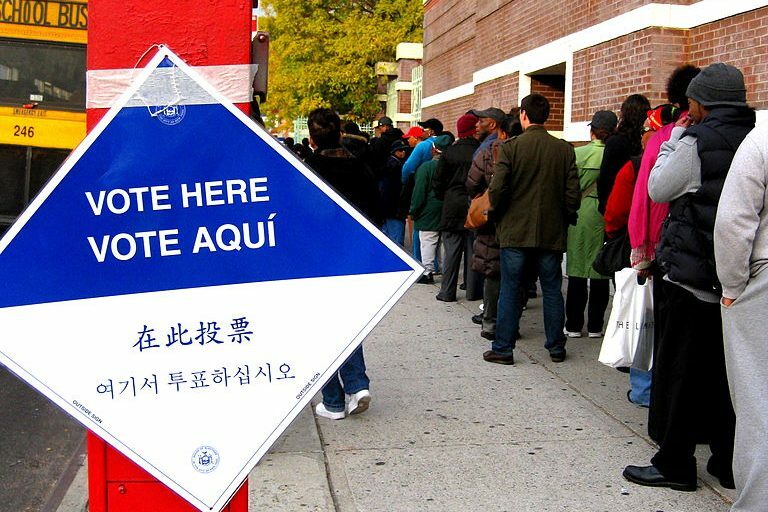 While an estimated 6 million felons are ineligible to vote, there are many more people with past convictions who may be scared away by forms that threaten jail time for those who vote illegally but don’t explain who is disqualified. 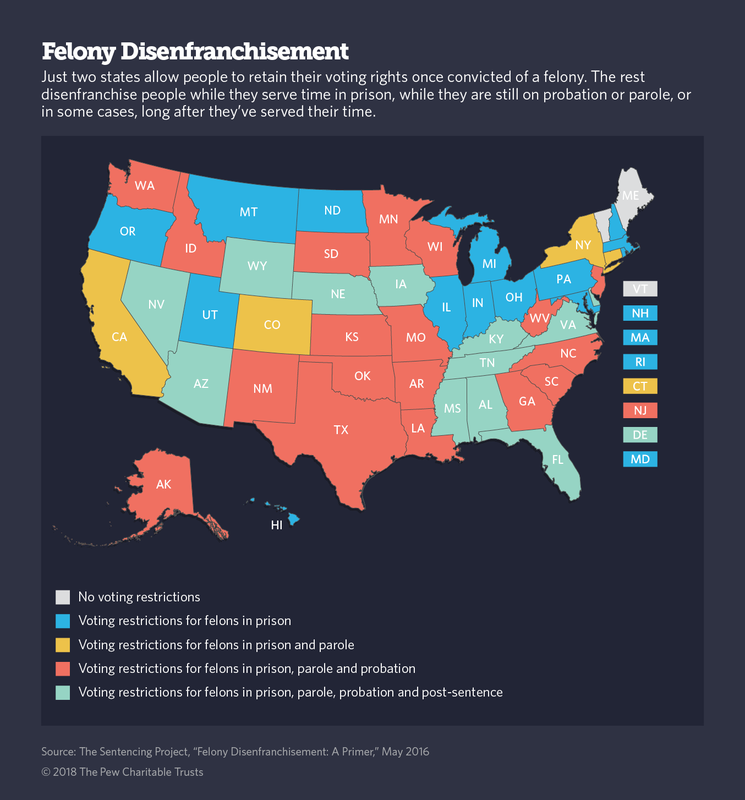 Efforts in Congress to eliminate felony disenfranchisement laws have gotten little traction, and at the state level activists have run into strong opposition from elected officials who consider disenfranchisement to be part of the punishment for committing a crime. So some activists have turned to the courts and ballot measures to spark change. The Southern Poverty Law Center filed a lawsuit last week challenging a Mississippi law that strips voting rights for life for felons. Similar challenges are underway in Alabama, Louisiana and Florida. 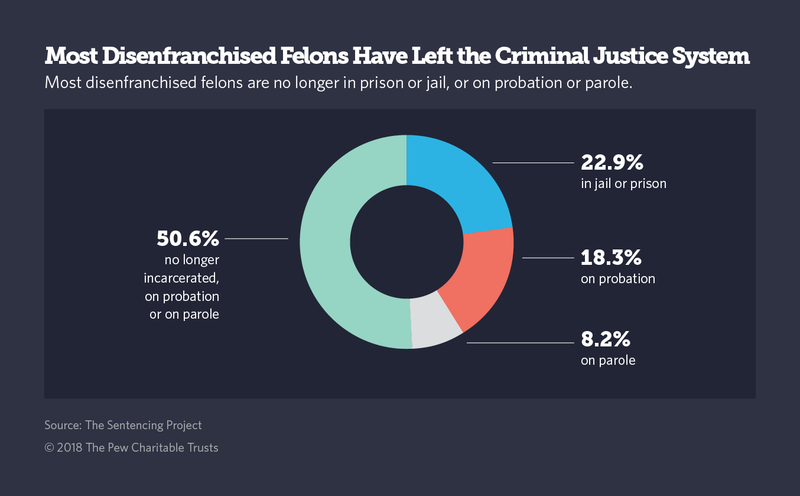 Disenfranchised felons are about 2.5 percent of the general voting-age population, but that number triples among African-Americans, according to estimates from the Sentencing Project. The disparity is starkest in the Southeast, where more than 20 percent of black voters are disenfranchised in some states. In Louisiana, where an estimated 108,000 people are disenfranchised because of past criminal convictions, people aren’t allowed to vote until they have finished their parole. For many, that means decades. At 72, Checo Yancy has been out of prison for over 14 years. But he’ll be on parole until 2056 and unlikely to cast a ballot before he dies. He is a plaintiff in a Louisiana case that seeks to restore voting rights to people as soon as they leave prison. The case may be decided as soon as this week. Activists in Florida collected more than 840,000 signatures to put a measure on the November ballot that would allow people with a felony conviction to vote once they complete probation or parole. The state has imposed a lifetime voting ban on 1.7 million Florida residents with felony convictions. Only a pardon from the governor can restore their voting rights. And in a separate suit challenging the state’s system, a federal judge called it “crushingly restrictive” and later ordered the clemency board to adopt strict criteria and timelines for reviewing applications. Many who seek to change the laws say the restrictions are rooted in racism, noting that many states enacted them shortly after blacks gained the right to vote. Among the crimes on the list: theft, arson, perjury, or writing a bad check for as little as $100. Those who want to ease the restrictions argue that voting helps former inmates feel included and engaged in the community, reducing the likelihood of recidivism. That’s not the way many governors see it. 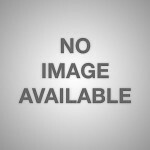 Nebraska Gov. Pete Ricketts, a Republican, vetoed a bill last year that would have allowed felons to vote once they left prison. “Requiring convicted felons to wait before allowing them to vote provides an incentive to maintain a clean record and avoid subsequent convictions,” Ricketts said in his veto letter. Although the bill was reintroduced this year, a spokesman for the governor said his position has not changed. In recent years, some conservative states have lifted other restrictions on felons, like those that bar them from receiving professional licenses or food stamps, hoping to reduce recidivism and save money on criminal justice costs such as incarceration, probation and parole. Louisiana state Rep. Walt Leger, a Democrat who has sponsored criminal justice legislation, said the prospect of saving money can get both parties on board. Restoring voting rights, though, is still seen as politically risky. Rebecca Beitsch is a staff writer for Stateline, an initiative of The Pew Charitable Trusts. “Across the country state felon voting laws very widely” states making their own laws, isn’t that the point of having states in the first place? The writer then tries to sell the idea that voting rights would help encourage convicts to behave themselves. That seems like a pretty silly argument, the better answer is that people like our writer here feel very confident that convicts would vote for the same stuff she would. Recollections of Traveling With Dr. Martin Luther King Jr.